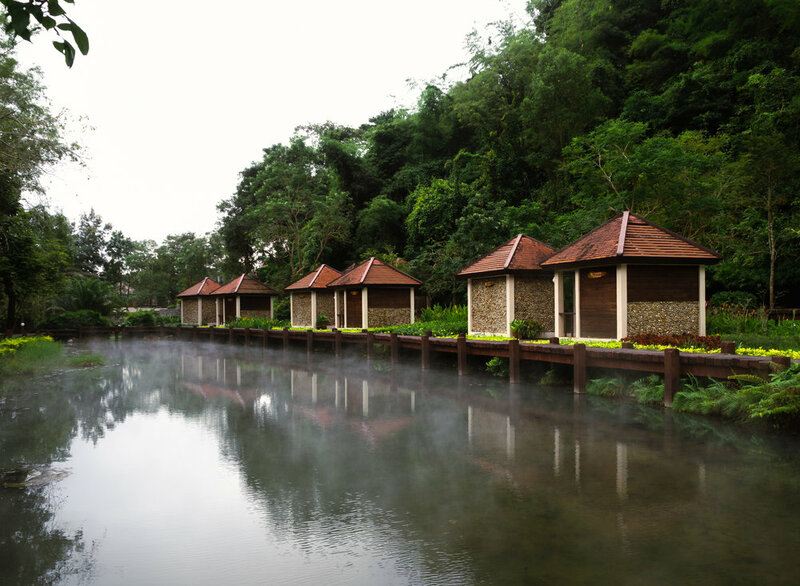 Soak Away Sore Muscles and Tired Minds at Fang Hot Springs National Park in Chiang Rai. There are many hot springs in Thailand, but Fang Hot Spring National Park, situated in Doi Pha Hom Pok National Park is by far the best. The hot springs are natural and surrounded by nature - exactly what you envision a jungle hot spring to be like. Fang Hot Spring has public and private pools, striking views of the jungle, abundant birds, and a pool where you can cook eggs. If you want to enjoy hot springs in seclusion away from tourists, then Fang Hot Springs is your place. The hot spring is a two and a half hour drive outside of Chiang Rai, which is far but means that you won't encounter nearly as many tourists. Only towards the end of our visit did one tour group come. The rest of the time we had the park to ourselves with a few Thai families enjoying the area. Magma that rises from the Earth’s core heats the mineral pool in the parks. 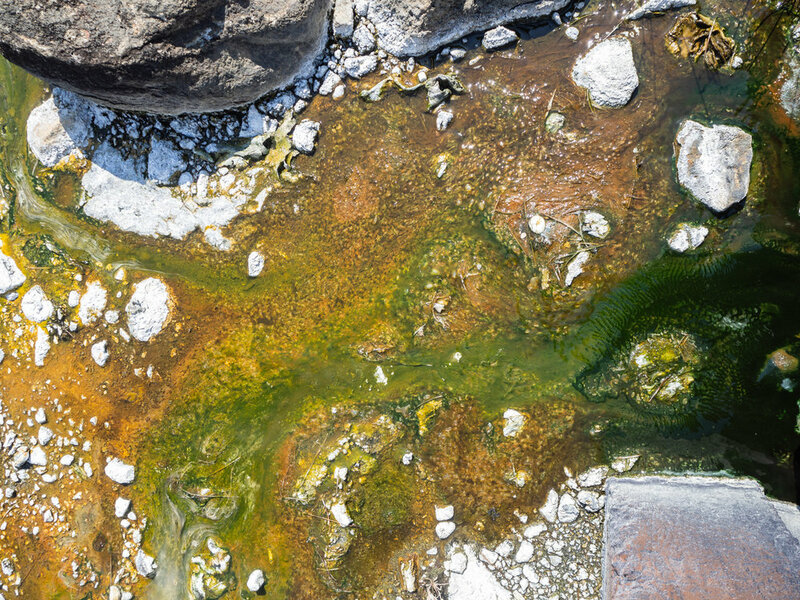 This warm water is released with minerals such as calcium, sulphur, and magnesium. The health benefits go beyond your skin. Thai’s believe hot springs balance the energy in your body, improve your bones, and detoxes your liver. After taking a soak in the mineral water, you will notice how soft the water feels and how quickly your body begins to melt into relaxation. A trip to Fang Hot Spring National Park includes a relaxing soak in one of their mineral pools and more! 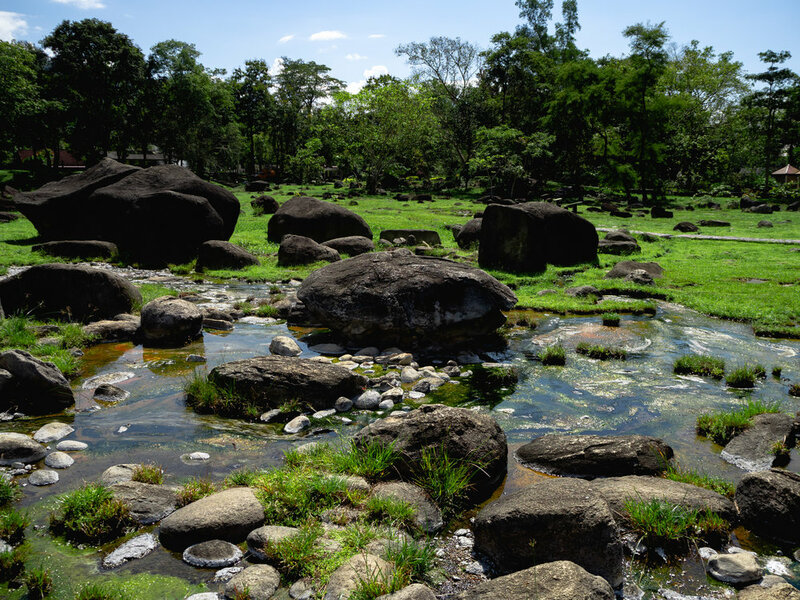 You can walk along the rock paths through a sea of springs and pools, watch the geysers erupt from the ground, watch dragonflies chasing each other, cook eggs in a boiling pool, and bird watch. Even though there were very few people at Fang Hot Spring, we opted to pay the 100 baht fee to use one of their private mineral baths. The private baths are circular, tiled baths enclosed in small wooden huts. They include a cold shower, a hook rack, a few baskets for clothes, and a mirror. We relaxed for an hour in the room, hopping in and out of the bath enjoying the soak in privacy. 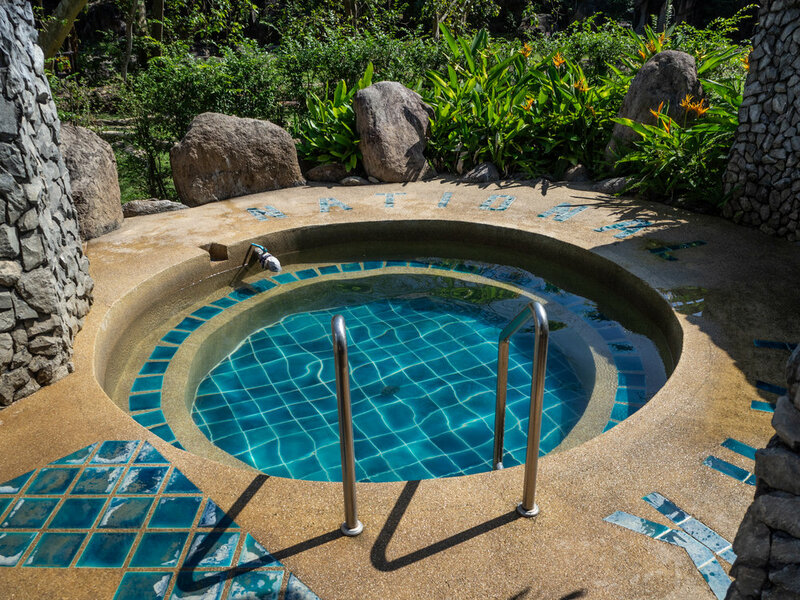 Enjoy a soak in a private bath at Fang Hot Springs for only 100 baht. Bath facilities are basic but private. Public hots spring baths. Baths are male and female only. If we had not booked a private bath, the public baths looked nice and enjoyable. Four outdoor public baths are large and surrounded by walls. 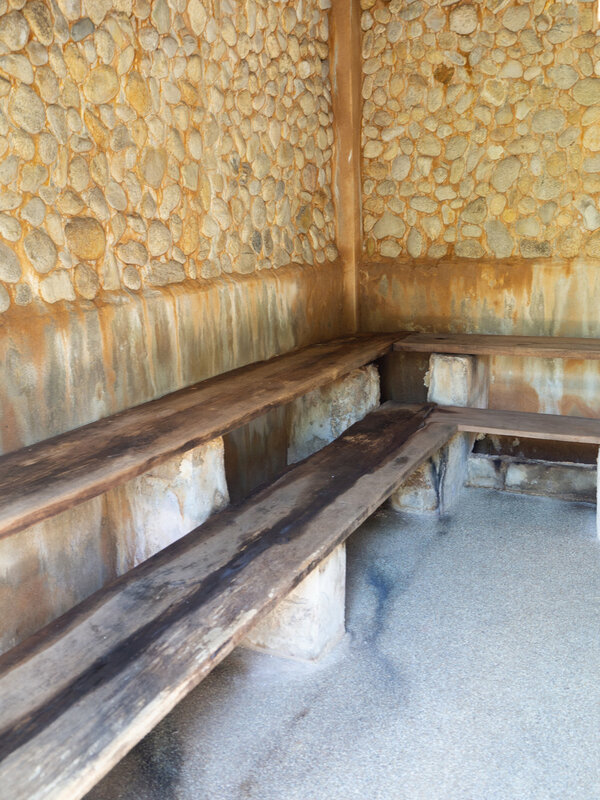 These outdoor baths are separated by gender, so we could not have been in the same bath, which would be disappointing since we wanted to share the experience. Aside from gender baths, the only other downside would be a less secluded, quiet experience. When we talked past the baths to check them out, there was a local family with three kids. They all seemed to be having a great time, but I'm not sure I could fully relax in the mineral baths with kids running around screaming. Fang meadows and hot springs are peaceful and relaxing. Dragonflies fill the air at Fan Hot Springs. Sit back and enjoy. Hot water bubbles from the ground and meanders through the meadow. Minerals in the water turn the rock interesting shades of orange, red, and green. After your soak, take a walk along the rock paths to explore all of the mini springs, streams, and pools that exist in the meadow area. Zipping dragonflies and floating butterflies decorate the air. Some landed on us - what we consider good luck! Boil your eggs in the hot water at Fang. Hard boiled eggs need at least 20-30 minutes. Don't forget to cook eggs before you leave! We purchased a basket of eggs and headed straight to the hot pool to cook our food. The sign next to the pool said that the eggs should only need 10 minutes, but after taking the eggs out at 10 minutes and putting them back in, we realized they needed around 25 minutes to fully hard boil. We are not sure if the water was not as hot the day we went, or the sign was incorrect, but if you try to cook your eggs leave them in for at least 20 minutes. If the hard boiled eggs did not fill you up, have lunch at one of the eateries outside the park. We tried the som tam from one of the vendors, and it was delicious! Transportation options to Fang Hot Spring National Park are limited. The Fang District is off of the beaten path located to the west of Chiang Rai up into Doi Pha Hom Pok National Park. There a few options that you can take to enjoy the beautiful space. Rent a private car or motorbike to go at your own pace. Renting a car starts at about 1000 baht a day, and a motorbike starts at 200 baht. Although those costs are not very high, you will need to pay for gas and provide collateral such as your passport (but never trade your passport) or a hefty deposit. Renting from an international company or one that resides at a local airport will have more reliable policies and can communicate in English, but will cost more and may require you to buy their insurance package. If you use a local business, they will be cheaper to rent and don't require insurance but will ask for collateral, and if something happens on your day out (car breaks down, theft, accident), then you will have to cover any costs to get your passport or deposit back. Take a video with your phone before you leave to have proof of the condition of the vehicle, and make sure the employee takes note of any scuffs, scratches, or dents. Also, local businesses typically won't be able to communicate as effectively in English. We shopped around before renting and chose the shop that was able to communicate most fluently to ensure both parties were on the same page. The drive to Fang Hot Spring National Park runs through the mountains to the west of Chiang Rai. There are no hairpin turns, but the road is windy as you go up and down the mountain. If you are prone to car sickness bring some ginger candies to help settle your stomach. The drive to Fang is worth it just for the jungle views. We chose to hire a private driver to take us to Fang hot spring National Park because it removed the stress of us driving through unknown areas and removed any liability we would have had if we drove ourselves. We would have had no problems driving there and back, but the driver relieved our stress, and we did not have to place down a deposit. The car rental was 1,100 baht, and the driver cost 500 baht. So 1,600 baht for a private car for one day is not too bad. The driver knew very little English and we know very little Thai, so it was challenging to communicate most of the time. Also, he had been to Fang before but never to the hot spring, so he had to pull over a few times to ask locals for directions and we showed him the map on our phone to verify the correct direction. There is no public transport to take you directly from Chiang Rai to Fang Hot Spring National Park, but you can find a less direct way to go if you do not want to drive or hire a driver. We originally wanted to find public transport to take us to the Fang hot spring, but after much research, only read a few people found charter buses to the Fang district. We did not find any such buses, but if you can find one, then take the charter bus and then you can find public transport to the hot spring. If you are in the Fang district or looking to get out of the touristy areas of Chiang Rai, then take a day trip to the Fang Hot Spring National Park to soak in the mineral baths and enjoy the jungle views. The lush vegetation and abundance of dragonflies and butterflies make your soak an experience you won't forget! When you head back to Chiang Rai from the Fang hot spring, take a pit stop at the Huay Maesai Waterfall to cool down! The waterfall is a local spot and is only a 10-minute walk from the entrance. 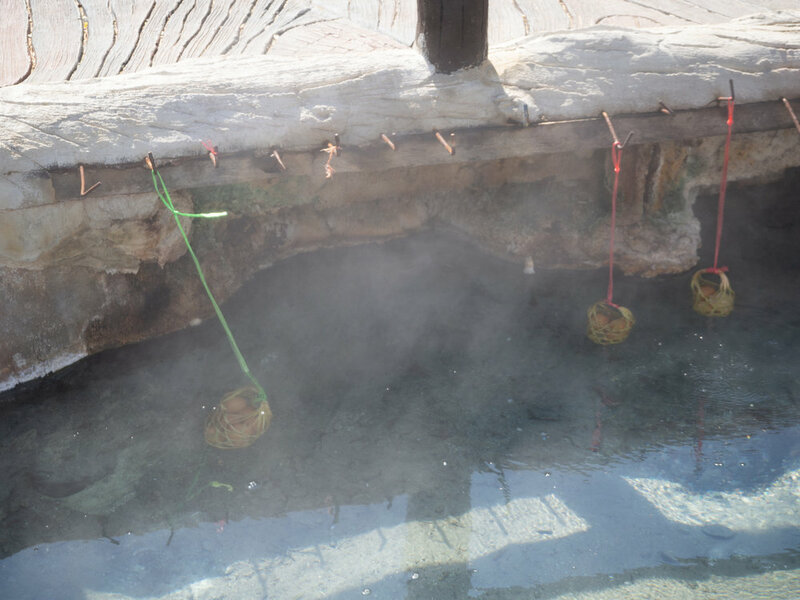 Why do you believe nature like Fang Hot Springs, has strong healing powers? Want more jungle excursions in Northern Thailand? The Monk’s Trail in Chiang Mai will take you up to Wat Doi Suthep!